I'm surprised there is not a thread dedicated exclusively to Paramore. 1. All We Know Is Falling. July 26, 2005. 2. Riot! June 12, 2007. 3. Brand New Eyes. September 29, 2009. 4. Paramore. April 5, 2013. 1. The Summer Tic EP, August 2, 2006. 2. 2010 Summer Tour EP, August 10, 2010. 3. The Only Exception EP, September 28, 2010. 4. The Singles Club [Box Set, LP], December 14, 2011. 5. The Holiday Sessions, April 20, 2013. 1. Live in the UK 2008,January 30, 2008. 2. The Final Riot! November 25, 2008. - eighteen singles, and nineteen music videos. XD what do you think? I used to like them very much, especially album number 2 and 3, but 4 just didn't grow on me... I kind of stopped to constantly search for any news on them. My sister used to like them after she watched Twilight, so we have the third album. And I kind of like it too. I've heard some songs on the fourth album before, but man that album is so, so weird. It sounds almost psychedelic. In the past I sometimes came across some comments on Youtube that they "don't like Paramore anymore because they turned pop". My opinion? They are wrong. Being upbeat does not necessarily mean they have become "more" poppier than their past efforts. Their poppiest, most 'mainstream' record is their third album. You don't like 4th album because it's very "experimental" and sounds like it was recorded in a bathroom or something. Used to be a pretty big fan, seem them twice. They have really good energy live. But just never got into their last album so kinda lost interest, I still listen to them now and again. 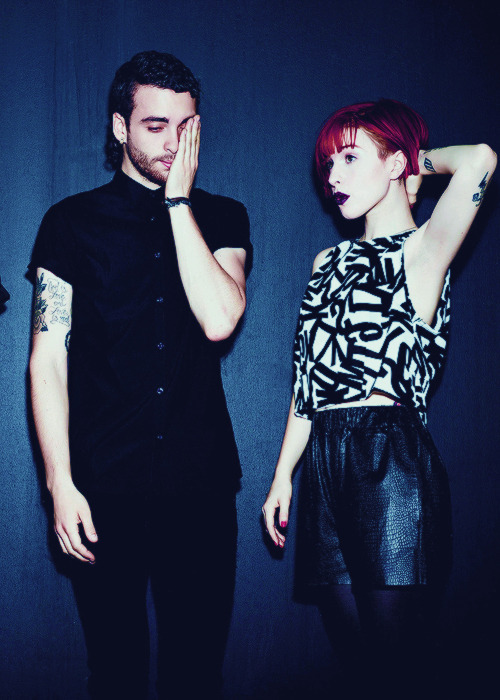 The Self-titled album of Paramore is something difficult for me. But i love the older albums. Nor in wikipedia. Why is so difficult? It does sounds experimental, although it contains some pop elements (confirmed by them) and also a few sounds reminiscent from previous albums. I think the main problem is that people didn't feel that the self-titled album sounded like a Paramore album "should" (to them) and it alienated or didn't convince a lot of fans. As Becky said, I couldn't get into the album that much, and I only really liked 3-4 songs and the b-sides on the special/deluxe edition. BNE was a more polished, mainstream version of RIOT!, so most of fans eventually liked it. I didn't feel it at first, but after some months I started to love the album because I could "analyse" it better and found out that it was nice evolution from the previous album. I didn't feel that with the self-titled, perhaps with a few songs. I'll probably never like them like I did between 2007-2011, but I'll always be interested on what they release. 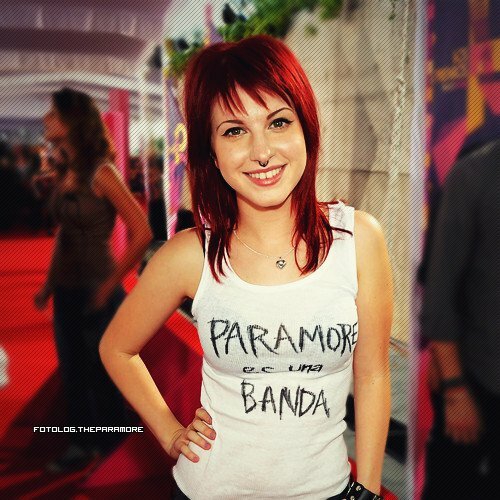 Oh, and Paramore is Hayley+others, it's always been like that and will always be, and here's a sign. 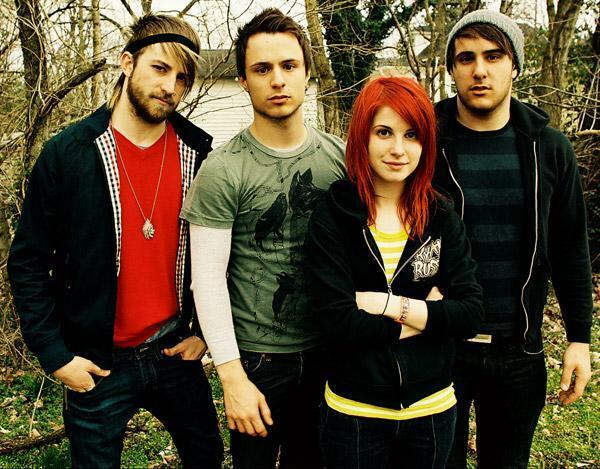 Paramore is great. I'm shocked that Jeremy left the band. But it's understandable with a child and a wife waiting at home. My favorite albums are Riot! 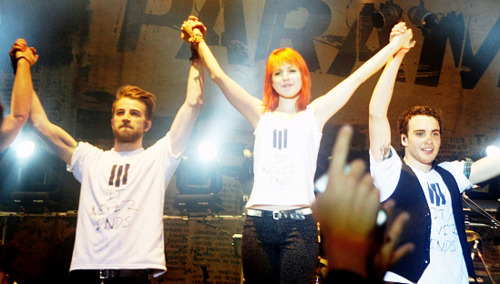 and Brand New Eyes. I gotta be honest that I haven't listened to them for a while. Now I actually do feel like it. I listen to them every now and then. But i have to admit i don't like Hayley so much..
And in my opinion their best work is their b-sides. But hey they are a good band. Riot and BNE were my favorite albums when they got out. And i got hyped around the promotion for the 4th. And Now seemed promising. But when the album was released, i listned to 4 songs.. and lost interest. Part Two obviously one of them. And Future. It does sounds experimental, although it contains some pop elements (confirmed by them) and also a few sounds reminiscent from previous albums. True, but their music always contained a lot of pop elements, and it's no different in their self-titled album - they just abandoned their emo stuffs and got more oldschool pop rock stuffs in their music. The whole album sounds like it's from 1980s. Hmmm.. true. I never really thought about it though. Does anyone know if they are working on a new album? I'm so hungry for new music atm.